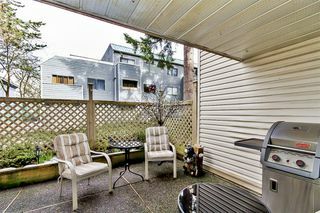 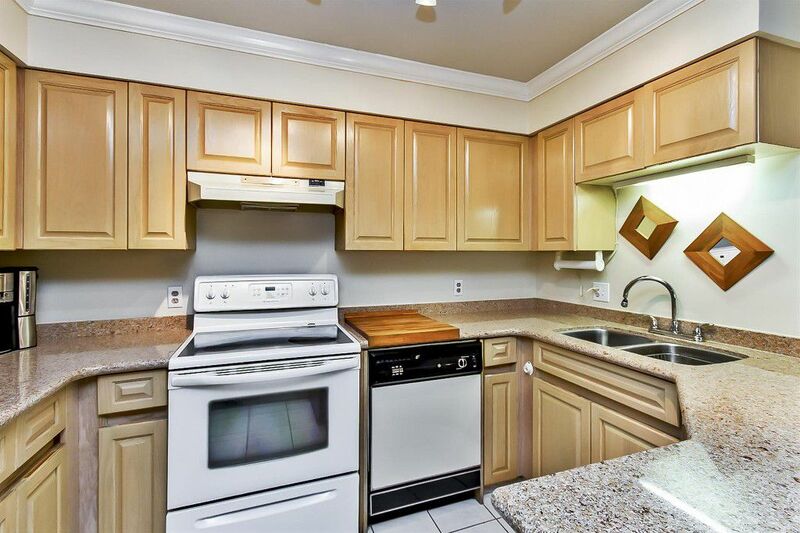 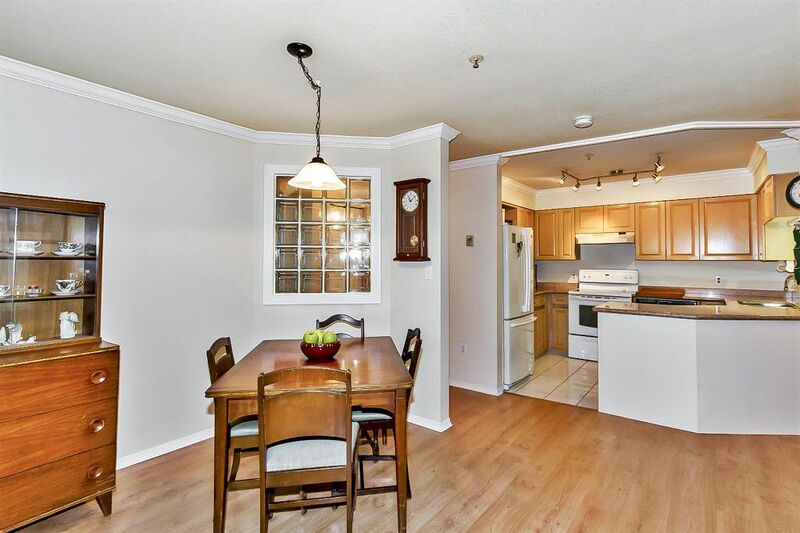 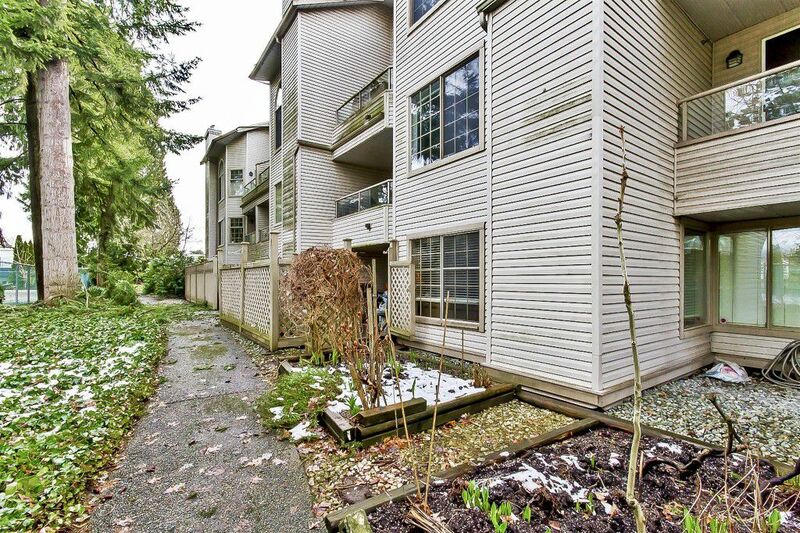 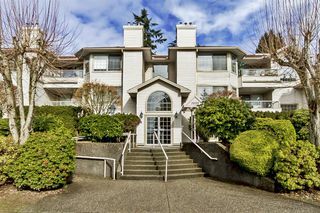 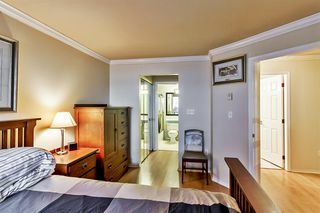 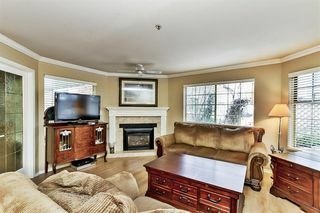 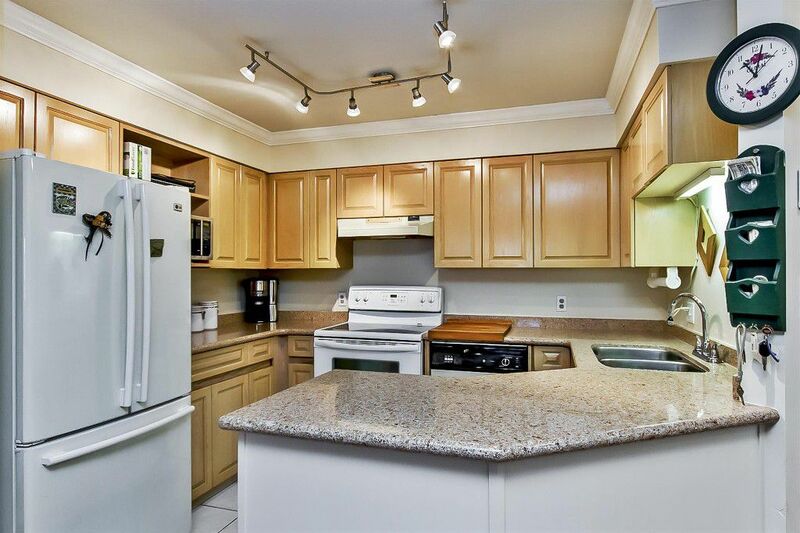 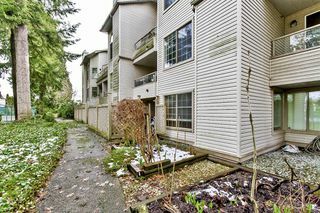 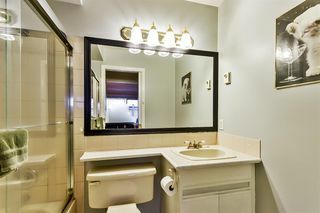 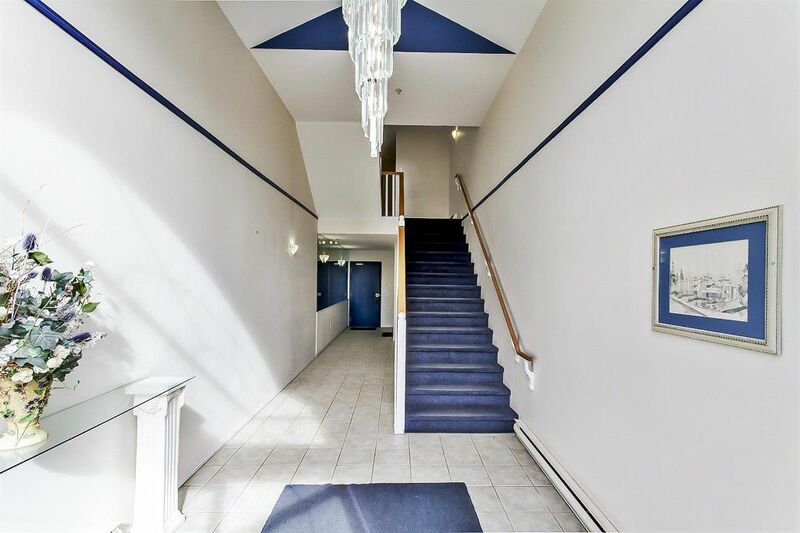 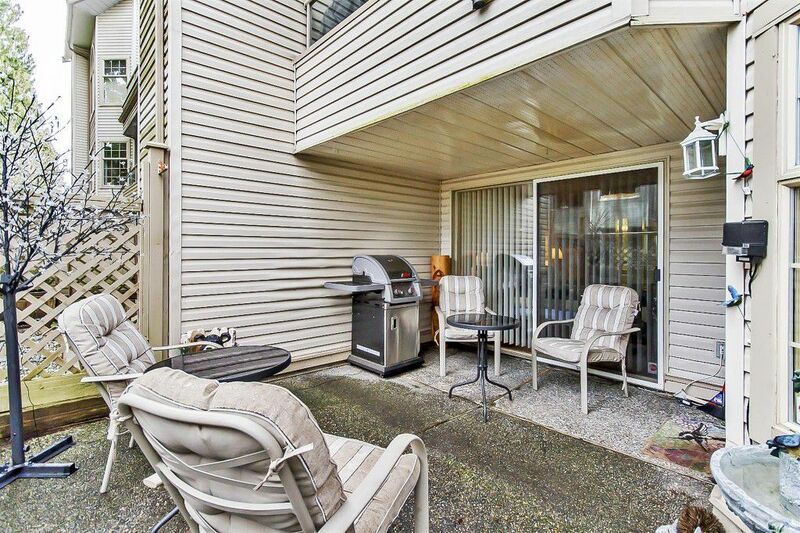 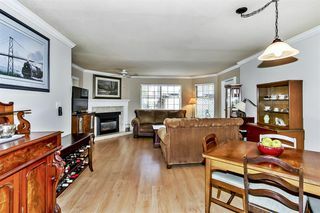 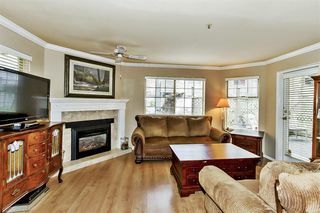 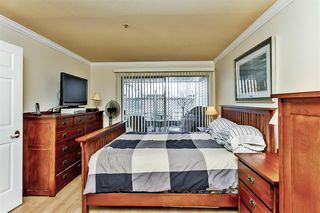 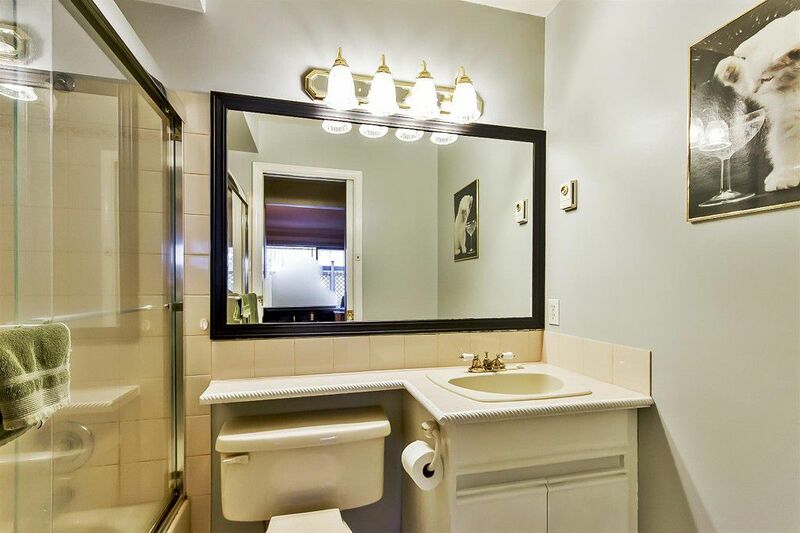 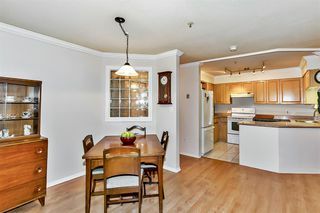 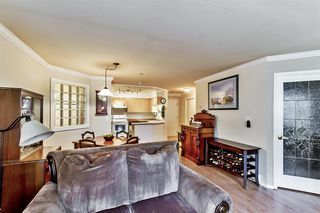 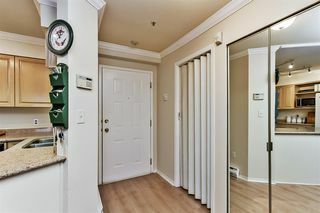 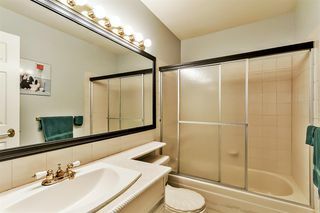 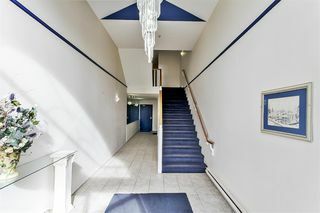 Don't miss this very clean & nicely updated 2 bedroom, 2 bathroom condo on the quiet side of the building. 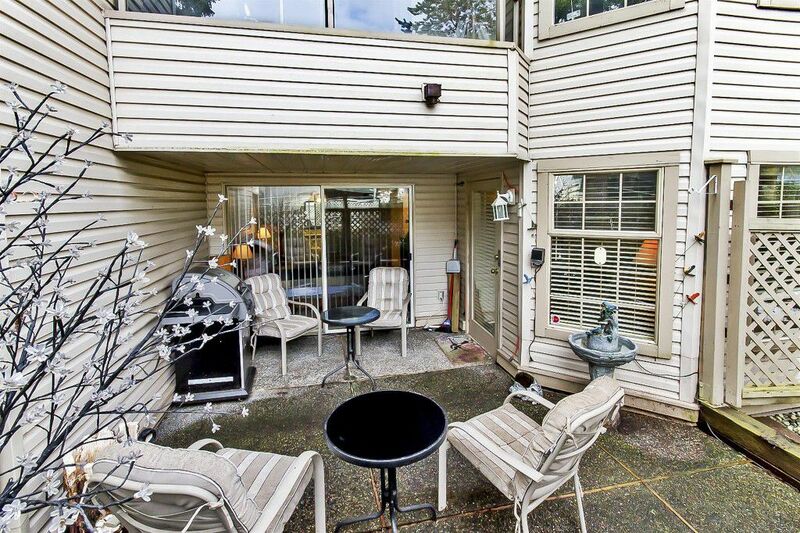 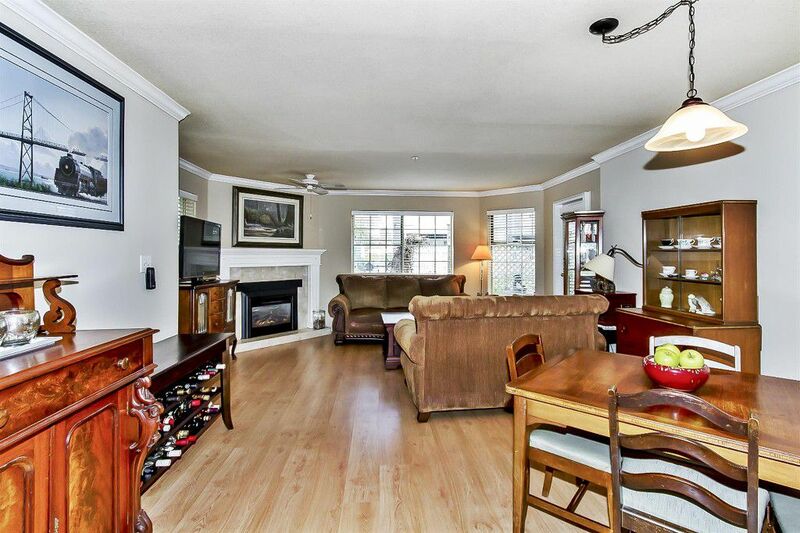 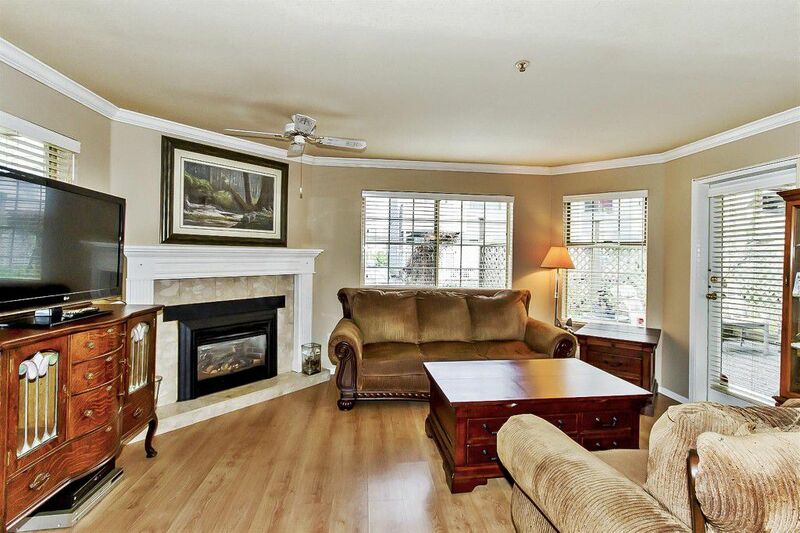 Spacious open floor plan with laminate flooring thru-out except 2nd bdrm. 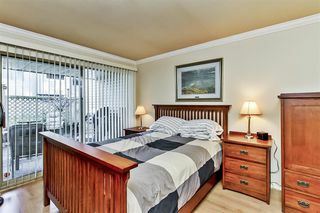 Nice big master bdrm w/ 8 ft slider opening onto the large partially covered & fenced patio, his & hers dble closets & 4 pce enste w/ ceramic flooring & GOLD faucets. 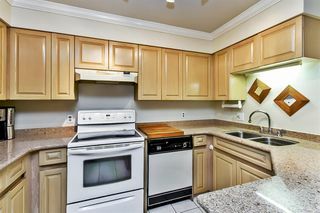 Step saver kitchen w/ lots of cupboards & counter space w/ new quartz counter tops. Your clients will love the nice open living rm/dining rm area w/ updated high efficiency gas F/P & access to the private, fenced & partially covered patio. 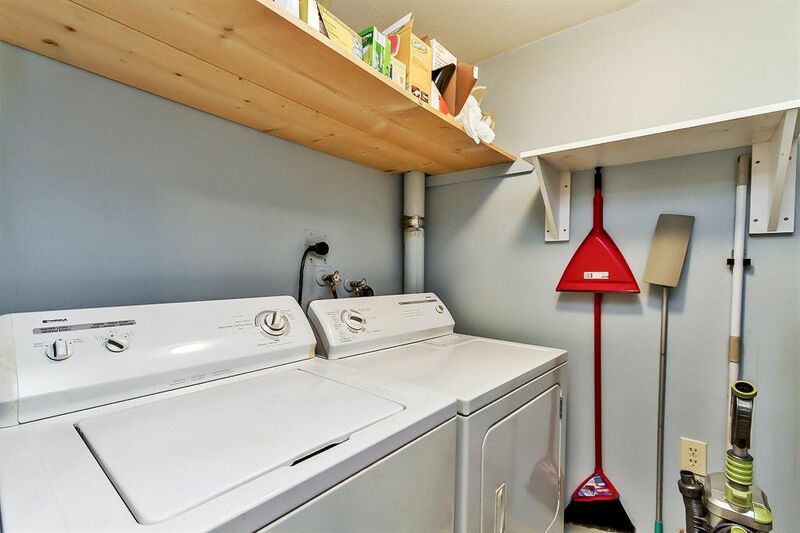 Good sized laundry/strge rm w/ full sized W & D. New pitched roof in 2014 & flat roof in 2017.